Point2 Homes gives you far more than a simple list of houses for sale. Get instant access to a lot of relevant information about Oshawa, ON real estate, including property descriptions, virtual tours, maps and photos. The search results pages also have a wealth of information on Oshawa, ON, if you scroll all the way down. There are 370 houses for sale in Oshawa, ON. 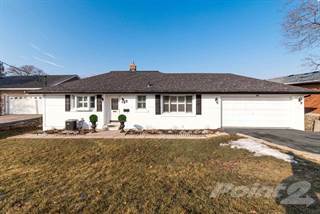 Searching homes for sale in Oshawa, ON has never been more convenient. With Point2 Homes, you can easily browse through Oshawa, ON single family homes for sale, townhomes, condos and commercial properties, and quickly get a general perspective of the real estate prices. Also, you’ll never miss a bargain if you filter listings based on house price drops in the past six months. 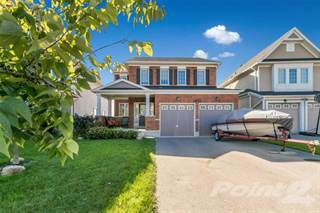 Use the map view to find Oshawa, ON homes and apartments for sale, based on amenities or city features that you may want close by. You can close in on a specific neighbourhood or area by simply drawing around them with the polygon or radius tools. Stay informed about the latest entries on the real estate market by saving your searches. This way, you get new listings in your inbox, daily or every week, based on your preferences. If you’d like to get in touch with a professional, agents are displayed next to their listings, and they’re easy to contact through the online forms. If you want more options, you can click the Tools tab and Find an Agent, and you’ll get a list of helpful and knowledgeable real estate agents in Oshawa, ON. Visit the Point2 Homes blog and you can find up to date expert advice on many markets throughout Canada, regular market reports, neighbourhood scoops in cities throughout the provinces, real estate deals and useful recommendations. Oshawa is a city located in the province of Ontario. Situated in close proximity to the Greater Toronto Area, it has a population of approximately 357,000 people and a total area of around 146 square kilometers. Named after the Ojibwa term ‘aazhaway’ (Ojibwe is a North American indigenous language) that translates to “crossing place”, it experiences population growth rates of 3-6% every five years as documented by the Canadian Census. To this day, Oshawa is commonly known by many as the “Automotive Capital of Canada”. This is due to the fact that General Motors Canada has their headquarters in this city, and serves as the largest employer in Oshawa. To this day the city remains one of the best spots in the country to find well-paid manufacturing jobs. Other contributors to the growth of Oshawa’s economy include the sciences and education. Oshawa is touted by many economists to be one of the fastest growing cities in the country with respect to its size, taking into account influx of new citizens and increase in the number of employment opportunities available. The trend looks set to continue for the next couple of years, and rumour has it that it might even surpass larger cities like Toronto in a few years’ time. As Oshawa is one of the major automotive hubs in Canada, it only makes sense that there is a museum built for such an honor. The Canadian Automotive Museum provides visitors with the opportunity to see how it all began. You can see some of the first car models made in Canada that are now up to a hundred years old. Old Ford Models, one of the first Rolls-Royces to be built in the world – you name it! Other attractive amenities include wildlife parks in which to do some serious outdoor exploration, smaller entertainment theatres for hosting local acts that put on a crowd-pleasing show, golf courses to relieve some tension after a hard day of work, and spas to take your mind off of your worries. Just because the city is small does not mean that it doesn’t have its own fun-packed activities! Although there are no official divisions of the city, Oshawa can generally be thought to consist of Northern and Southern Oshawa. This divide happens to be right at Taunton Road, which serves as a dividing line between two completely different regions and demographics. Northern Oshawa includes the districts of Brooklin West, Brooklin East, Oshawa Northwest and Oshawa Northeast. These neighbourhoods are very rural in nature, and thus they have a comparatively low number of inhabitants. It is in these areas that you can expect to find all of the city’s natural areas, outdoor trails, and parks. Over 130 parks are available for you to choose from, so you will never get bored when you step outside the house. There are also several golf courses around for those who take an interested in the sport. Finally, there are farmer’s markets that open up during the hot summer season. Queues here can sometimes span an entire street as people try to be the first ones to get their hands on fresh local produce. In contrast, Southern Oshawa is densely populated and offers far more in the way of entertainment. You can find all types of restaurants here, ranging from those offering cheap budget dishes to the very best in exquisite dining. You can take it easy and read a book in the library, or you can live it up by going to the night club. There are also a couple of shopping malls here if you want to look around for something to buy. If you want to take a break and catch some of the best art in the country, the Robert McLaughlin gallery contains over 4,500 unique works of art spanning several genres. Last but not least, you can head over to the General Motors Center to see all of the major sports events and concerts that take place there. Due the fact that it is rural, Northern Oshawa tends to be very singular in its collection of homes. You can expect to find traditionally-designed bungalows, semi-detached townhomes, and fully detached residential homes. They are quite large in size, with properties often covering several thousand square feet. Notable features include multiple beds and bathrooms, along with parking garages that can accommodate several cars. Naturally, these neighbourhoods are extremely quiet and better suited for those who are raising larger families, or financially independent single people who want to live away from the heavy traffic. Southern Oshawa has a some fully detached residential homes that are far smaller in size, but they also have apartments available for rent and low-rise condos that are located close to the downtown area of the city. 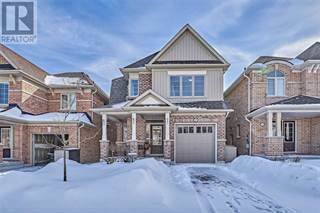 There are a couple of mansions that are available within the area, but these are situated in the neighbourhoods that are closer in proximity to Northern Oshawa. These neighbourhoods are better suited for smaller families and young professionals who are looking to establish themselves in their new-found careers. Oshawa is home to two post-secondary institutions, the first of which is the University of Ontario Institute of Technology. As can be gathered from its name, it is primarily a technology-oriented facility. In fact, it is the only university in the province to be entirely laptop-focused, requiring students to lease a laptop from the school itself. The second one is Durham College, an education establishment that specializes in providing students with valuable skills in one of the trades. Elementary schools (K-8) in this city are abundant, with over 25 of them to choose from. When it comes to rankings with respect to basic skills in reading, writing, and mathematics, the best schools include Coronation Elementary School, Father Joseph Venini, and Dr S.J. Phillips. The majority of schools here are based around an English curriculum, with some schools allowing for the option of courses taught in French.